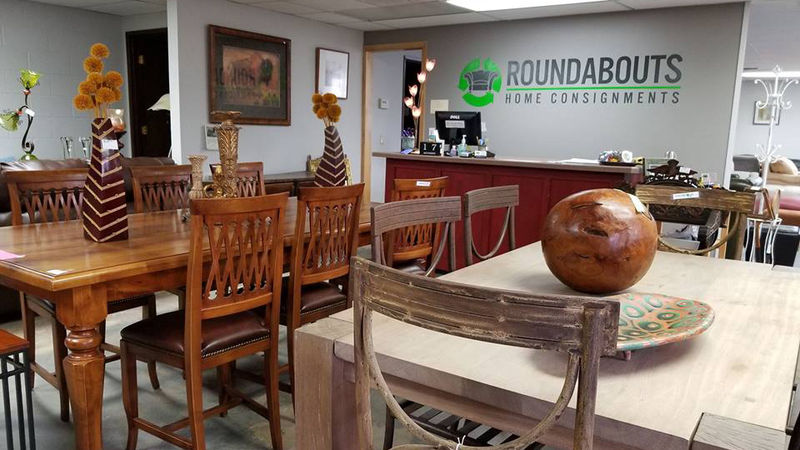 Roundabouts Home Consignments is the brain child of a husband and wife team who moved to Bend from Colorado to raise their family amongst the trees, fresh air, friendly people, and beautiful scenery. Leveraging their 25 years of experience in construction, design, house flipping, retail, and customer service, they decided to open a home consignment store with a different philosophy; F.A.I.R. F.A.I.R. stands for frugal, appraised, inspected, researched, and it means shoppers will find quality furniture and home décor at a great value, backed by experience and trustworthy customer service. Consignment furniture is a great way to give any room in your home a fresh new look at a fraction of the price and RHC has styles that will give any décor the pop it deserves. You’ll have fun shopping in the showroom atmosphere and new discounts are added daily so you never know when design inspiration will meld with the deal of the day. RHC is committed to caring for the environment and believes upcycling furniture is a fantastic way to give pieces new life instead of landing in a landfill. They also believe in supporting the community and supply local nonprofits with furniture and home goods to help those in need. RCH is located on NE 2nd Street in Bend, across from Humm, and is open Tuesday through Saturday from 11:00 a.m.-5:00 p.m. and Sunday from 11:00 a.m.-4:00 p.m.